The Colorado Department of Transportation says it will help cars share road information that could help reduce crashes and congestion. 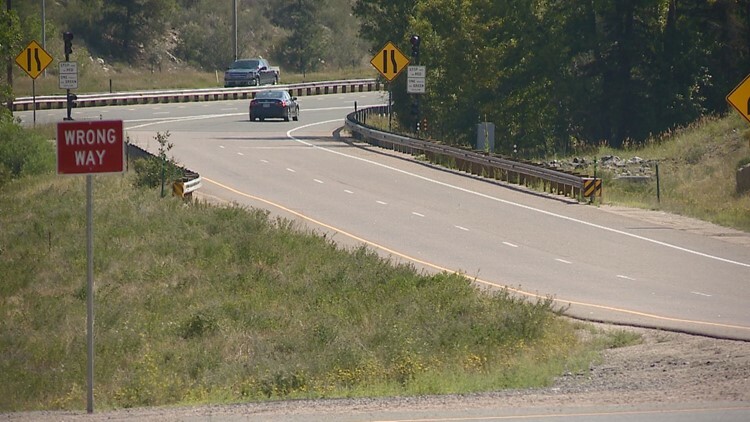 KUSA — The Colorado Department of Transportation is installing about 100 radios along Interstate 70 west of Denver called Road Side Units that will help cars send all the information they are getting to other cars. “Cars have a ton of sensors on them and they can tell us a lot about what’s happening on the roadway,” Connected and Autonomous Technology Program Manager Tyler Svitak said. The system works with cars that have the V2X technology, which isn’t many right now, but will include most cars by 2020. CDOT has already started outfitting their fleet with about 2,500 vehicles expected to get the technology. Information gathered from the technology could help warn other drivers about an icy turn or trouble around a blind curve. “Through our partnership with Panasonic we are equipping 2,500 vehicles with this technology,” Svitak said. Cars with the technology will be able to communicate with other cars in several ways. If multiple cars turn on windshield wipers, CDOT will see that and send back information about the weather. If a car’s airbag deploys and other cars stop suddenly, CDOT might send out information about an accident in that area. That information will either be heard in a car or seen on a heads-up display. CDOT says the new technology will help reduce crashes and congestion. “Connected vehicles will add a lot of intelligence to the roadway,” Svitak said.